Lakeland College recently expanded its relationship with two sister schools in China. Lakeland signed new agreements with East China Institute of Technology (ECIT) and Shanghai Finance Institute during a multi-day visit to China by Lakeland Interim President Dan Eck, Director of International Programs Jen Siebert and Instructor of General Studies and Chinese David Lynch. Lakeland and ECIT signed new 2+2 agreements covering the following majors: accounting, biochemistry, biology, chemistry, computer science, international business, marketing, art and music and math. The agreements lay out an academic plan for students entering the programs so they stay on track to earn a Lakeland bachelor's degree. Lakeland and SFU signed a 2+2 agreement for accounting and a 3+2 agreement for art, and renewed 2+2 agreements for business and marketing that have expired. The schools also discussed SFU's desire to send more one-term students to Lakeland and send some of their faculty to Lakeland for teacher training. During the visit, Siebert met with students and gave presentations regarding Lakeland's summer program and undergraduate programs. Lakeland and SFU initially signed a sister school agreement in 2006. Lynch has taken students to SFU for May Term classes twice, and a third group is going this May. Lakeland has hosted eight visiting SFU professors since 2005 and 25 one-term students since 2007, in addition to several other faculty/staff delegations. Lakeland and ECIT also signed an initial sister school agreement in 2006. Since the summer of 2007, ECIT has sent between seven and 22 faculty and staff members to Lakeland's Summer Professional Development Program. A total of 58 ECIT members have participated in the program. Several ECIT students have participated in Lakeland's Summer English Language Institute, and there have been many visits by ECIT administrators and scholars. 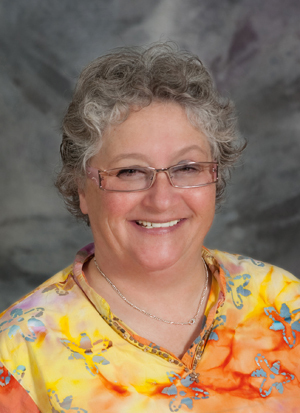 Siebert is among the Lakeland faculty who have taught at ECIT. Lakeland College is one of 16 U.S. colleges and universities selected by the Institute of International Education (IIE) for the 2013-2014 Brazil initiative of IIE's International Academic Partnership Program (IAPP). Lakeland will participate in a year-long program comprised of training activities designed to assist in implementing and sustaining partnerships with counterparts in Brazil. 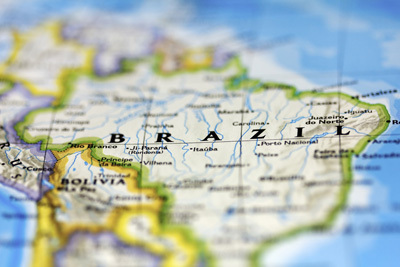 The program includes a week-long study tour to Brazil in spring 2014 to learn first-hand about the Brazilian higher education system and meet with potential partner campuses. Create university partnerships in Brazil for both short term and long term study abroad options for Lakeland students. Recruit more Brazilian students to attend Lakeland and therefore educate U.S. students about Brazil and its culture. Connect what is happening in Brazil with Lakeland College's faculty expertise. Associate Professor of History Krista Feinberg is teaching a course this spring on the history of modern Brazil, and Lakeland's biology faculty are interested in tropical biology in Brazil. Help achieve the college's goal to internationalize the campus, and have a strategic plan related to Brazil. "For decades, Lakeland has made a strong commitment to international education," said Interim President Dan Eck. "Creating a strong presence in Brazil complements our existing international programs and presents new study abroad opportunities for our students." This semester, Lakeland has 75 international students from 13 countries enrolled at its main campus in Sheboygan County. The other participating U.S. campuses in the Brazil Initiative are: Dartmouth College, Farleigh Dickinson University, The City of New York's Lehman College, Medaille College, Rice University, Stetson University, Troy University, University of Arizona, University of Michigan-Dearborn, University of Missouri, University of Nebraska-Lincoln, University of Wisconsin-Stout, University of Wisconsin- Whitewater, Wayne State University and Western New Mexico University. IIE's Center for International Partnerships in Higher Education will guide the campus representatives through a strategic planning process in the current academic year geared towards establishing partnerships with institutions in Brazil. This group will also have the opportunity to benefit from the experiences of previous delegations of high-level officials who represented 14 U.S. higher education institutions in 2013 and 18 additional institutions in 2012. "Higher education stands to play a vital role in Brazil" said IIE's President and CEO Allan E. Goodman, "and educational partnerships between the US and Brazil will help build Brazil's intellectual capital while fostering key institutional partnerships between the two nations." These partnership programs offer timely resources for campuses in both countries to explore areas of academic cooperation, including exchanging students and scholars and collaborating on research projects and degree programs. Over the past few years, both the U.S. Department of State and the government of Brazil have emphasized the importance of educational collaboration. Continued cooperation between the two countries is evidenced by the expansion of the Fulbright and Brazil Scientific Mobility programs, the addition of English, a new language immersion program in Brazil, and the ongoing alliance in the US-Brazil Joint Action Plan on Racial Equality. Brazil has become increasingly important to US higher education with the creation of the Brazil Science Mobility Program (BSMP) by the Brazilian government in 2011. This multiyear initiative will send 75,000 fully funded Brazilian students abroad for training in the science, technology, engineering, and math (STEM) fields, with an additional 25,000 scholarships to be funded by the private sector. Working with the Fulbright Commission, Brazil's Ministry of Education, Coordenação de Aperfeiçoamento de Pessoal de Nível Superior (CAPES) and the National Council for Scientific and Technological Development (CNPq), IIE has placed more than 6,000 undergraduate students from Brazil at 349 U.S. colleges and universities since the program's start, and a projected 7,370 students will receive scholarships to study at U.S. institutions in 2014. Liz Kroll was impressed – and pleasantly surprised. "Oh my gosh, I'm totally flabbergasted," said Kroll, coordinator of Sheboygan County Food Bank. "This is the biggest private donation we've had." Kroll and three local volunteers visited Lakeland College on Monday to pick up a whopping 13,442 non-perishable food items for the Sheboygan County Food Bank. The cans and boxes of food, collected over the past month by Lakeland students, faculty and visitors to campus, were hauled to Sheboygan in a truck. The food will now be distributed to local families in need through 10 area food banks or pantries. Lakeland's food drive is tied to the annual Northern Athletics Collegiate Conference's "Cans Across the Conference" initiative. Each year since 2006, Lakeland has participated in this event, and the number of items raised by the Muskies community has skyrocketed from year to year. In the past four years alone, Lakeland's total of collected and donated items has risen from 1,225 (in 2010) to 3,703 (2011) to 7,732 last year to the impressive total of 13,442 this year. "I'm just so excited about how much effort everyone in the Lakeland community put into this," said Lindsey Vande Hoef, Lakeland's women's basketball coach who spearheaded the drive. "To think about how many more people we will help, people right here in our own backyard, is humbling." The "Canstruction" competition featured 14 teams comprised of athletes, student club members or Lakeland employees building creations of their choice with cans and boxes of food collected. The event, organized by Lakeland's Student Life department, was sponsored and judged by Sheboygan's A. Chappa Construction – which also donated money to the cause. First place went to the men's volleyball team, which built a mini-volleyball court – complete with bleachers. More than 5,000 non-perishable items were raised through the "Canstruction" event alone. The women's softball team collected the most items, more than 2,000, and the men's volleyball team gathered more than 1,000. On Monday, Dave Majerus, president of the Plymouth Food Bank, drove a truck he had borrowed from St. Vincent DePaul in Plymouth to Lakeland for the pickup. It was a team effort to load the thousands of items, with Plymouth Food Bank vice president Jerry Preder and Howards Grove's David Scharinger – Kroll's brother-in-law – lending a hand. Also helping pack the truck were Lakeland baseball coaches, members of the school's Student Life department and members of the Zeta Chi fraternity. After all the goods were loaded, Majerus pulled the truck's back door down and shut it. He then headed for the former Jo-Ann Fabrics store near the former Menards in Sheboygan, where the donated goods will be stored temporarily and then distributed to families in need. "I'm just amazed by our students and everyone else here at Lakeland College who totally jumped on board, bought into this and did everything they could do to help," said Vande Hoef. "I'm just really proud." Lakeland College recently received a $3,000 grant from Kohler Foundation, Inc., to help fund the college's inaugural Community Book Read, which debuts next spring with Wisconsin native Chad Harbach, author of the best-seller novel "The Art of Fielding." Harbach will be at Lakeland on April 15, 2014, as part of the book read. The event, which is free and open to the public, begins at 7:30 p.m. in Lakeland's Bradley Theatre. Harbach will read excerpts from the novel and answer questions about the work and his life as an author and magazine editor. Guests are encouraged to read "The Art of Fielding" prior to the event. 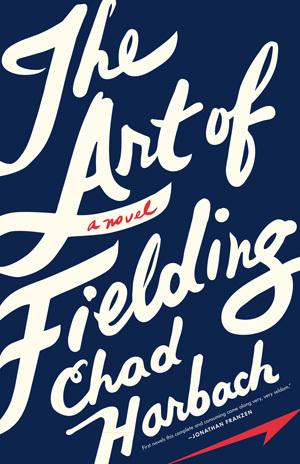 "The Art of Fielding," Harbach's debut novel, was named one of the New York Times' Ten Best Books of 2011. Born is Racine, Harbach is a graduate of Harvard and the University of Virginia, and he is a cofounder and editor of n+1, a magazine journal of literature, politics and culture based in New York. The Kohler Foundation is a non-profit, private foundation that supports arts and education through grants, scholarships, and preservation initiatives in Wisconsin and beyond. Celebrating 70 years of its Distinguished Guest Series, Kohler Foundation brings world-class entertainment to the Village of Kohler at accessible prices. Several Lakeland College students enrolled in upper-level science courses this semester have been learning concepts before they hit the textbook thanks to pioneering research conducted by one of their teachers earlier this year. Professor of Biology Kathy Rath Marr spent the spring 2013 semester on sabbatical working as visiting scientist in the Comparative Veterinary Pathology Lab at the Harvard Medical School – New England’s Primate Research Center in Southborough, Mass. For more than three months, Rath Marr conducted important research in the Primate Center’s lab, and she spent time outside the lab meeting with several key researchers in the fields of HIV and Alzheimer’s disease. This fall, she’s been sharing what she learned with her students, giving them an opportunity to understand how a trained researcher works with cutting-edge technology. Rath Marr analyzed tissue from the brains of healthy rhesus monkeys, and those that had been infected with SIV (Simian Immunodeficiency Virus) and HIV (Human Immunodeficiency Virus). Previous research has documented that SIV- and HIV-infected monkeys in the later stages of HIV/SIV also exhibit Alzheimer’s disease. The presence of insulin and insulin-like growth factor (IGF) are markers that show cognitive impairment changes. Rath Marr was identifying a way to find those markers in various regions of the brain so researchers can learn more about changing insulin levels with the goal of slowing down Alzheimer’s. For Rath Marr, who’s in her 27th year at Lakeland, it was inspiring work. “It never occurred to me that I would get the chance to do cutting-edge research this late in my career,” she said. “These monkeys are so similar to humans in showing the same symptoms and progression of these diseases. Rath Marr’s neurobiology class will cover memory pathways next week, and she will present her research data as part of the discussion. Students in scientific reading and analysis read and discussed three key research articles that precipitated her project. During her sabbatical, Rath Marr provided the center with the protocol for some her research since it had not been previously performed. She also taught an intern how to perform the immunohistochemistry analysis so the research could continue. In October, during Lakeland’s fall break, Rath Marr returned to Harvard to finish data analysis. She is currently writing an article about her work, which most likely will be published in the Journal of Primate Research. Rath Marr’s work was set in motion by her daughter, Amanda Marr Podles, who did her post-doctoral research at the Primate Center.